Wondering where to stay on Ko Lanta? Here’s a complete rundown of the best beaches and specific recommended hotels and resorts on Ko Lanta. Ko Lanta is a big island. It takes nearly an hour to drive from north to south and while it’s great fun to explore Ko Lanta, it’s worth thinking about which beach you want to be based on. 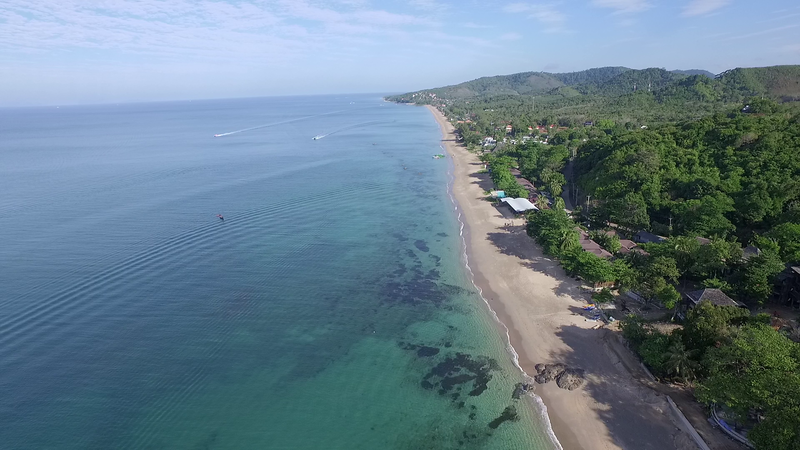 Everyone arrives on Ko Lanta at Saladan Village and then gets driven to their chosen beach. 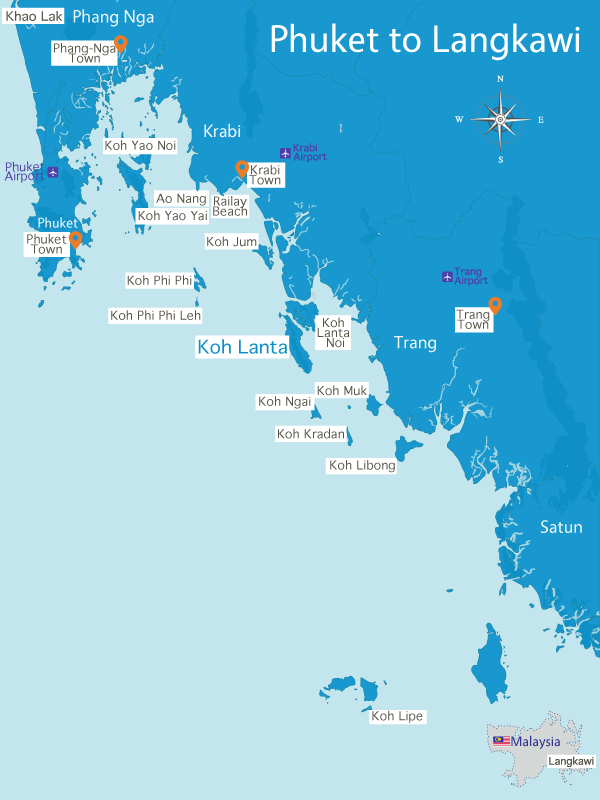 The nearest beaches to Saladan are Klong Dao, Long Beach and Klong Khong. 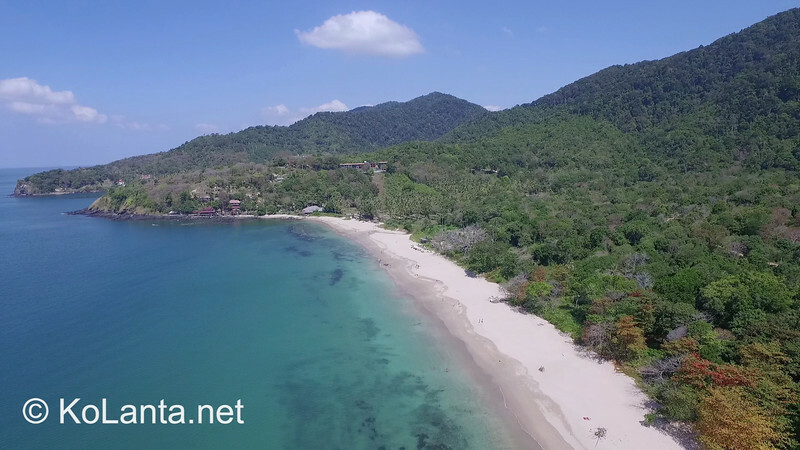 Klong Dao beach and Long Beach are the two most popular beaches on Ko Lanta and both have a big selection of places to eat and stay, while Klong Khong is more low key. Klong Khong has some beautiful villas to rent just a few hundred metres walk to the beach. Specific recommendations on where to stay on Klong Dao: Costa Lanta is a sleek contemporary style luxury hotel, Banana Beach resort a solid mid range choice and Golden Bay Cottage a well-loved budget option right by the beach. For more ideas of where to stay on Klong Dao, see our Klong Dao beach page. For Long Beach, recommended places to stay include the super lux boutique resort Layana, the well-established mid-range resort Lanta Castaway and Baan Long Beach, a good budget bungalow choice five minutes walk from the beach. There are plenty more choices for places to stay on Long Beach – see our Long Beach page for more details. Somewhat sleepier than Klong Dao and Long Beach but easily accessible from Saladan, Klong Khong is one of Ko Lanta’s hidden gems. There are no luxury resorts here but there are some beautiful villas to rent set up a few hundreds metres behind the beach. Lanta New Coconut Bungalow is a long-running budget operation right on the beach, while Coco Lanta provides the comforts of mid-range bungalows a few steps from the sand. For more info about Klong Khong, see our Klong Khong Beach page. If you have time to have a more laid back holiday, heading down to Klong Nin or Kantiang Bay is worth the extra transit time. Klong Nin has a great beach village feel and is very convenient, with lots of bars and restaurants lining the beach and the road. Klong Nin also has some fantastic pool villas right on the beach – step off your private pool deck straight onto the sand. Coupled with the village vibe of Klong Nin this makes it one of the most sought after areas to rent a villa in Koh Lanta and villas tend to be booked out months in advance, especially over the Christmas and New Year period. Klong Nin’s villas provide the most upmarket accommodation experience in the area, with the Rawi Warin resort the most luxury hotel; Lanta Intanin is a great mid-range choice and Baan Rim Lay a friendly budget guesthouse with a good reputation. For more info about Klong Nin, see our Klong Nin Beach page. Kantiang Bay is widely regarded as one of Thailand’s best beaches, a picturesque crescent of sand with an upmarket feel. It’s also home to Ko Lanta’s first uber luxury resort, Pimalai. If you want the most luxurious experience possible, one of Pimalai’s villas will provide it – an opulent 1 or 2 bedroom villa with private pool and stunning ocean views over Kantiang Bay, all with room service and other luxury hotel amenities a phone call away. There are other, less expensive but still excellent options for Kantiang Bay like the contemporary styled Houben and several spacious villas with sea views that are available to rent. For more info about Kantiang Bay, see our Kantiang Bay page. If you want to get away from everything and everyone, Bamboo Bay or Klong Jark at the very far south of Ko Lanta is a good option. These beaches have only a couple of resorts and not much else besides sand and sea – real Robinson Crusoe territory. Of course, you can always visit these beaches just for an afternoon to enjoy the peace. Saladan Village, where you first arrive on Ko Lanta, has become an increasingly popular place to stay. The beach is not as pretty as its neighbours but it’s pleasant enough and there’s a great selection of restaurants all within walking distance of the several good value Saladan hotels and resorts. And of course you can just grab a tuk tuk outside Saladan 7-11 and head to any of Ko Lanta’s beaches if you want a change of scenery. Kaw Kwang is five minutes away Klong Dao 10 minutes, Long Beach 15 minutes. A traditional Thai fishing village with picturesque wooden houses on stilts over the water, Lanta Old Town has a charm all of its own. It’s popular as a place to come and visit from the beaches, as it’s located on the east coast of Ko Lanta rather than the west coast. It’s also a pleasant place to stay in its own right, provided you don’t mind the absence of a beach. See this page on Lanta Old Town for more details. If you like to party, Ozone Bar on Long Beach is the focal point for late nights on the island – see Koh Lanta Nightlife – Where’s The Party for more info about where to base yourself so you’re nearby the hot spots. If you’re going diving, staying in the beaches nearest Saladan (Klong Dao and Long Beach) also makes sense as most dive boats depart from Saladan each day. If you’re focussed on yoga, Relax Bay is popular amongst yoga enthusiasts with regular retreats being held there – there are a handful of resorts along this beach area creating a peaceful vibe. There are several other yoga places on Koh Lanta – see this Yoga on Ko Lanta page for more details.